Tim, Você é um anjo Lindo do Céu Eu te Amo Muito, Não consigo descrever o que sinto nesse momento, Você me fez Feliz com suas músicas e melodias, Você é Único, Homem de Bom Coração, Eu não consigo acreditar que você não está mais aqui, Parece que foi ontem quando eu ouvi a sua primeira música Blessed, e eu me senti tão feliz, fui procurar de quem era essa música maravilhosa, E vi o quão talentoso você era, Obrigado por todas as suas músicas que mudaram a minha vida, Eu te Amo Muito Tim. Parece que fue ayer cuando escuche tu éxito levels. Desde entonces seguí tu música, aún en los momentos más difíciles escucho tu música y olvido todo. Donde estés; eres grande ◢◤. Avicii or Tim, I just want to thank you for influencing my music taste and introducing me to EDM with your song "Levels." Since your passing I still think about you everyday. Gone to soon. Your music gave me so much memory of my childhood. You are a big part of me. Rest in peace. I miss you so much. You made my life happier. you are legend. I love you so much from japan. the songs that he created made me feel better everyday. I always felt better and secure when I listened to him. The fact that he did harm to himself just breaks my heart. I hope he is very happy right now, and hope that he will stay as one of the legends in this world. 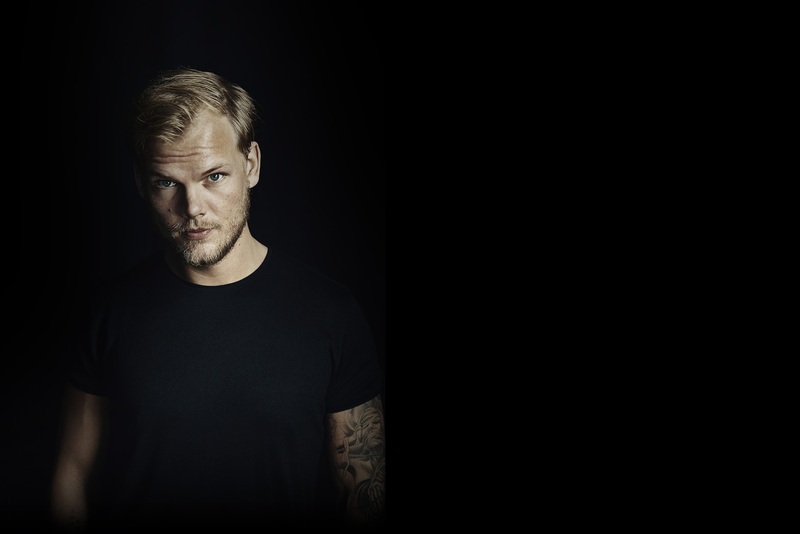 RIP Avicii. Tim you don't know how miss u, i have the heart emtpy for you desense, always keep in my lite, always remember you, thanks for everything, thanks for your music. Only 2 words can describe you. The Best. #1hater, you obviously have nothing better to do thankfully we do. Go away and bore someone else. Troll much? Your music makes me happy whenever I am down. R.I.P. Tim! Я рос на его песнях. Он был одним из любимых музыкантов. Слушал его последний трек и очень ждал нового. Для меня было шоком что он умер. Он останется в наших сердцах, спасибо за счастливое детство. You are the most beautiful people i know. I' m so sad about i've never meet you :( I think about you, every day; i dream about you, every night. When i look "the true storie" i cryed a lot. I know, how hard live is, if you are shy and introvert. You are my soul Mate i think <3 You are so beautiful, i miss you and your Musik all the day! Thanks avicii , your music made us better R I P bro. Avicii, I struggled with depression for a long time and listening to your music always has and always will lift my spirits. Your music provides such a unique and positive way to look at life and its struggles. Forever thank you for your amazing music and inspiring lyrics. His music is amazing. It will forever be. I could listen to his songs all day, never getting bored of them. Thank you, Tim. We all miss you so much. I hope you are not in pain anymore. Once I was broken, and "The Nigthts" meant so much to me. I whished to be like the guys in the video, not supposing you'll ended up this way... I'm so sad, but I want to thank you... you lived a life I'll remember. I wrote this thing (https://www.wattpad.com/639486386-1989-2018)... it's kind of a biography, or a novel about your life. It's in Italian, sorry. But, up there, maybe somebody can read it to you. R.I.P, Tim. Avicii, you helped me to look at life from another point of view. Looking at the positive aspects of life rather than looking at was was wrong with it. Your music inspired me, it helped me to find out who I really was and who I wanted to be. Your music went along with me whenether I was going through a rough situation and it has given me the strenght to carry on and don't give up. You will always be remembered and loved. I can not belive that there are such people in this world. This is not the place of submitting such a comment. I'm so a shamed of you I hope you will regret this " #1 Hater". You might be death but your music will life on forever. Your music has moved me around the world as the soundtrack of my life. Now without your new music, it will be more monotonous. You'll live forever, but I missed going to see you at a concert with my "virus". Fly and be happy. -------------------------------------------- Tu música me ha movido por todo el mundo como la banda sonora de mi vida. Ahora sin nueva música tuya, será mas monótono. Vivirás para siempre, pero me ha faltado irte a ver a un concierto con mi "virus". Vuela y se feliz. Every time I listen to your music it seems to me to go to another world...the emotions you make me feel are so strong that I seem to fly and you are there by my side. Fly with me Tim. I heard my first Avicci song when I was 8, and I immediately identified myself with his music. I am 13 years old right now, my room is filled up with posters of his albums. I wish we could someday have someone like him. Rest in peace. I Love You dj god. I lost my sister-in-law to depression days before Avicii died - in their memory, and in memory of my friend Marco who also lost his life this year, I'm going to try and live a life like the one Avicii showed us in The Nights. Thank you for the music. Snälla Tim!!!! Skynda dig tillbaka igen, vi är så många som väntar. Vi har så mycket att säga dig, och du måste läsa allt fint som skrivits till dig. Vi alla letar, och längtar efter att krama om dig hårt, ingenting ska få göra dig ledsen mera, vi lovar, kom hem bara, Tim! Tänker på Tim varje dag....lyssnar varje dag... Känns bara fan fan fan, ett "wake up call" för världen! Kunde han inte bara fått leva o syssla med sin musik i sin studio... Den glädje att höra "wake me up"!!! Så många människor han har präglat. Tänker så mycket på hans familj! Avicii carry my youth,maybe he die,but what he did is immortal. One of the greast and biggest artists in the World. Your music is unbelievable and i wish you're alive so i could get the chance to meet you. R.I.P, you had a lot of issues. But you will always be in your fans hearts. I love you and i always did, dont know what elses to say then "We gotta learn how to love and live without you"
I miss you so much! Hope your doing better.